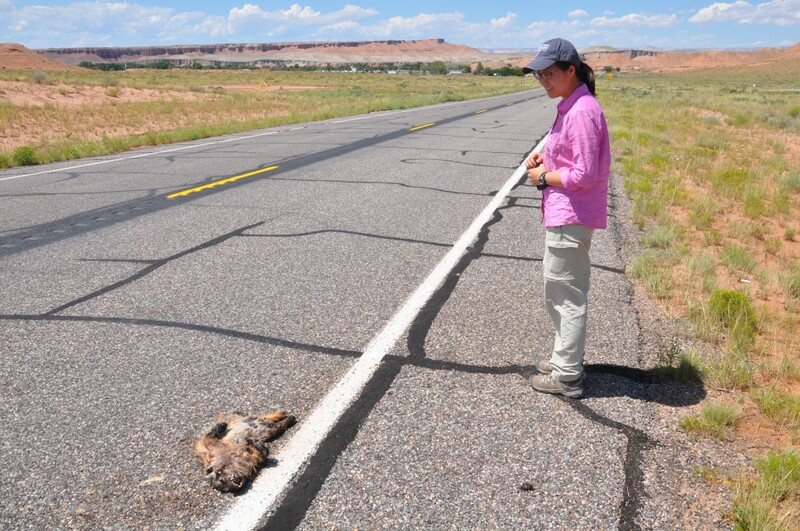 Elli Ronay and Hehe Jiang examining a Stegasaurus outcrop in the Saltwash member of the Morrison in southern Utah. Imagine going back 150 million years ago when dinosaurs ruled the land and the climate was so warm that the poles were ice-free and reptiles frolicked. Early August, 2015. 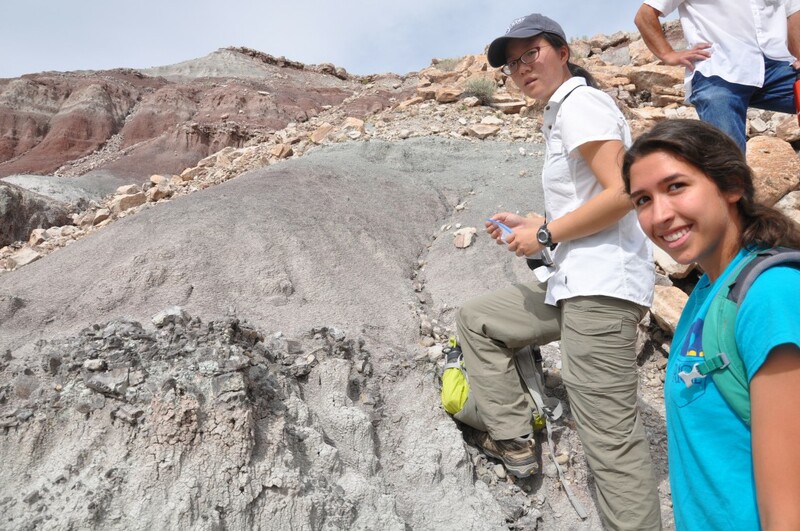 Undergraduate Elli Ronay, graduate student Hehe Jiang and I found ourselves traveling across the desert southwest in search of opals, agates, silicified fossils and volcanic ash. 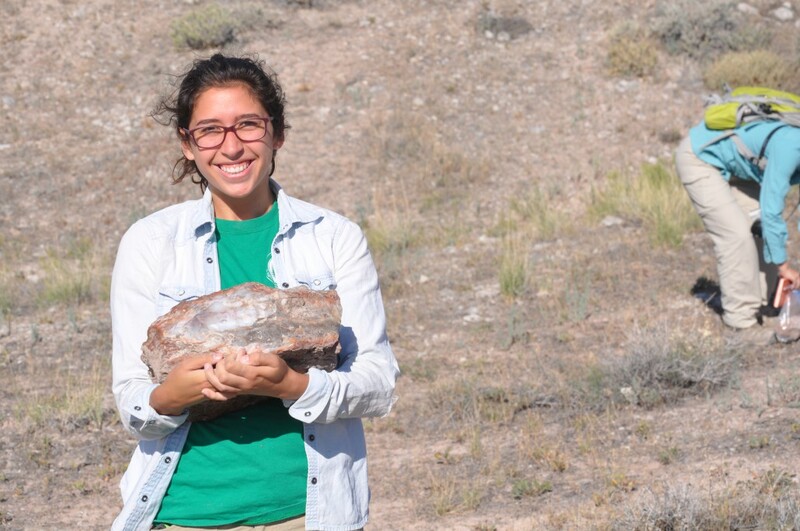 Elli has been characterizing the chemistry and mineralogy of Cretaceous ash beds in west Texas for her senior honors thesis with the hopes of better quantifying the flux of volcanic ash and the extent to which volcanic ash can be dissolved to serve as a biological nutrient. Hehe is taking advantage of the fact that agates, for some reason, are often enriched in uranium, making them amenable for U/Pb dating. 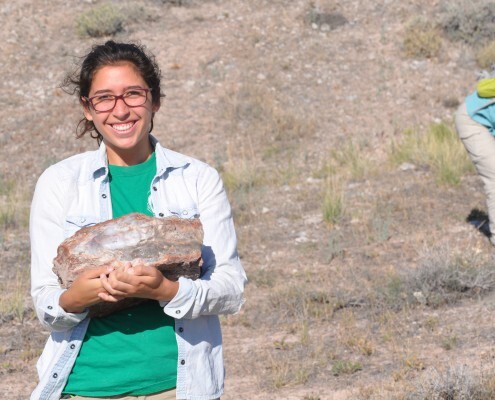 She spent the last year developing the method to perfection and she hopes that she can put new constraints on the timing of fluid flow events, from diagenesis to tectonically induced fluid flow. 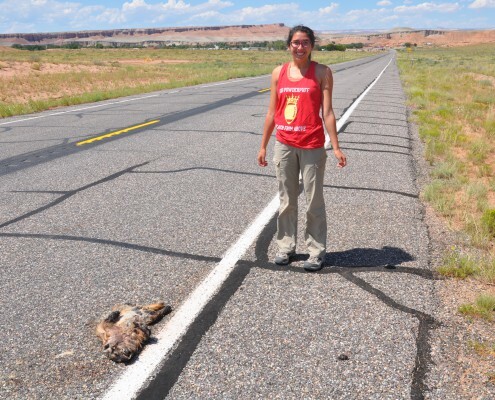 And this is why we went west. Much of the southwest currently lies at high elevations, a kilometer or so above sea-level. 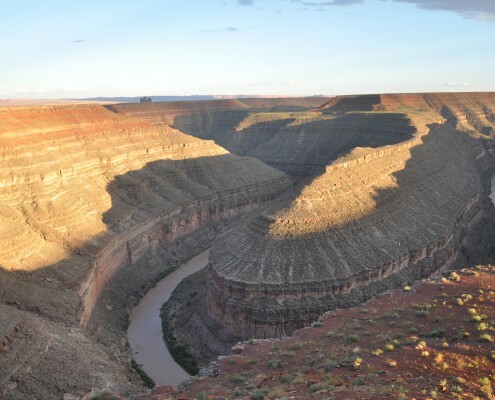 This region of elevated topography is known as the Colorado Plateau, but back in the Jurassic and Cretaceous and most likely the Paleogene, this region was submerged below sea level as part of a continental-scale seaway that extended from present day Mexico all the way up into northern Canada. Thick sections of marine, fluvial and lacustrine sediments bear witness to this massive depo-center. To the west of the seaway lay a massive volcanic arc, its eroded remnants represented today by the Sierra Nevada and Idaho Batholiths. 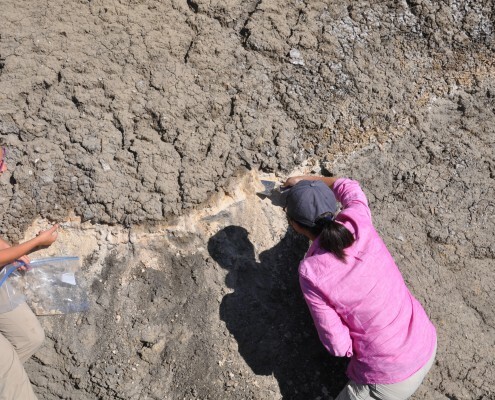 These batholiths are just a fraction of a circum-Pacific belt of intrusive rocks associated with a global flare-up of continental arc volcanism, which many of us, here at Rice, believe had enhanced global production of carbon dioxide, possibly explaining the greenhouse conditions of the Mesozoic. The Western Interior Seaway itself was likely caused by the same processes that gave rise to continental arc volcanism – subduction of oceanic lithosphere beneath western North America. 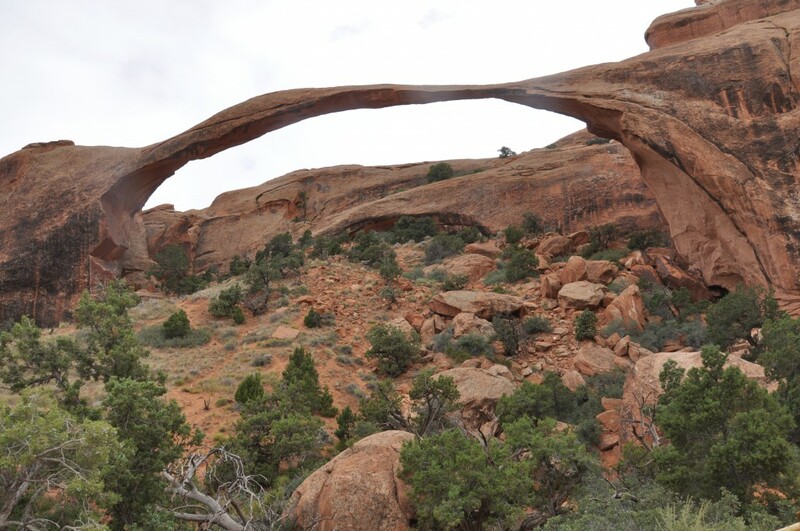 Large amounts of sediments accumulated in this dynamic depo-center as the production of new crust in the magmatic arcs gave rise to high elevations, resulting in enhanced erosion and a new influx of juvenile siliciclastic sediments into the basin. 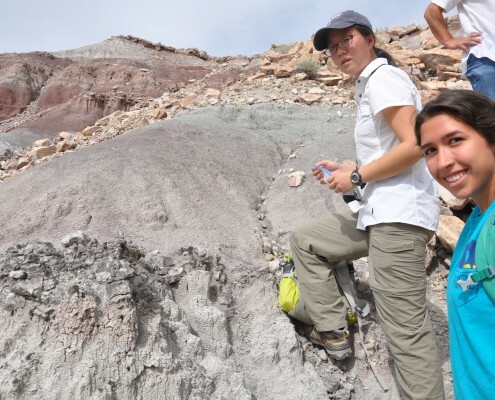 At the same time, the enhanced geologic production of CO2 increased the depositional flux of carbon, in the form of thick carbonate beds as well as sediments with high organic carbon content. If I let my imagination run, I have a vision that the Mesozoic was an unusual time – tranquil periods with happy dinosaurs foraging on the lush vegetation, only to be interrupted, perhaps often, by floods laden with sediments and by skies darkened from the ash erupted form the volcanoes. Then, of course, in the late Cretaceous, the volcanism declined, climate cooled a little and then a meteor hit along with a large eruption of flood basalts in India, and that was it for the dinosaurs. 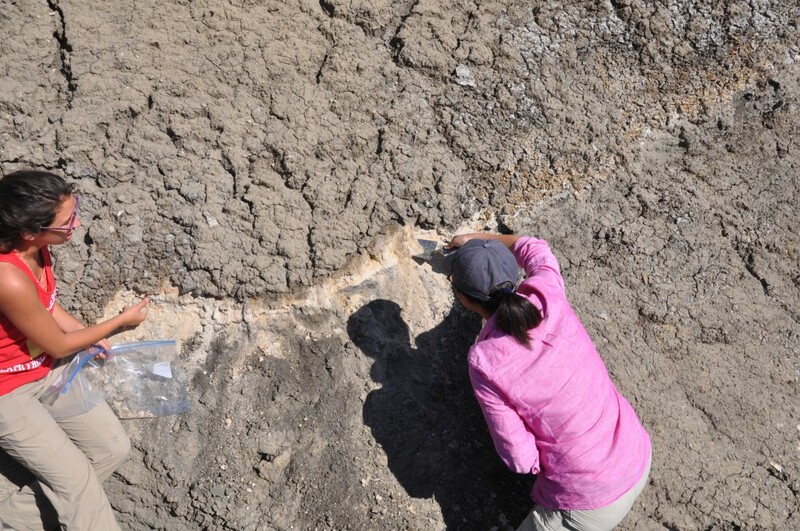 Locked in these ancient sediments are clues to the paleo-environment of that time. 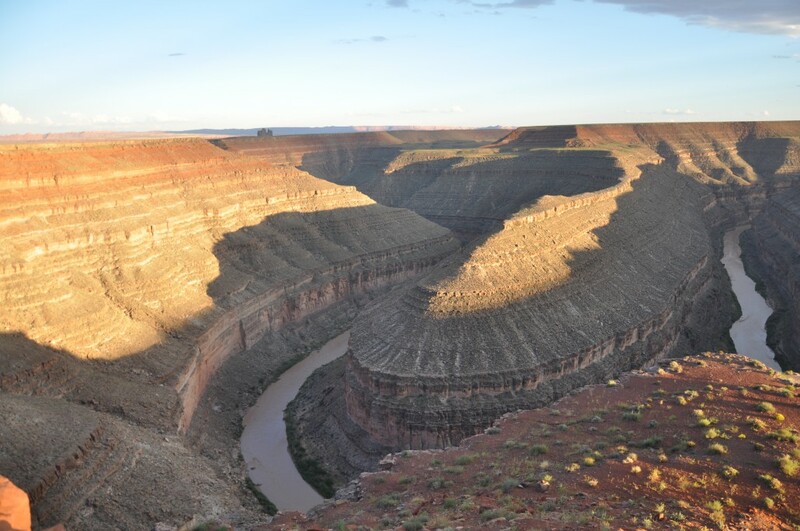 Geology has been kind to us geologists because some time in the Neogene, the seaway was uplifted into a high plateau, allowing the Grand Canyon to incise. Nobody seems to agree on exactly when the plateau rose or why it rose, but the uplift allows us to interrogate these ancient sediments from the comfort of land! 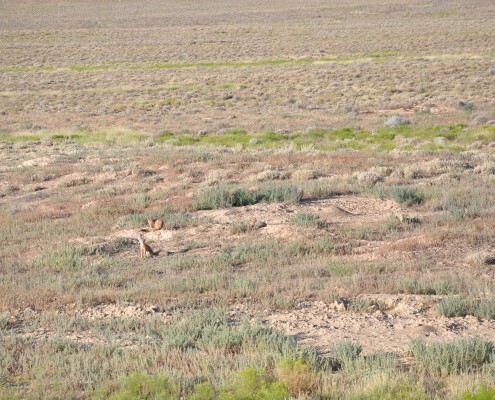 Every field expedition requires an extensive amount of early planning, that is, if you don’t want to bumble around in the field aimlessly, wasting time. As each year goes by, I have become more and more busy and have less time to prepare for such trips, but as it turned out, I found myself in the very capable hands of Hehe and Elli. 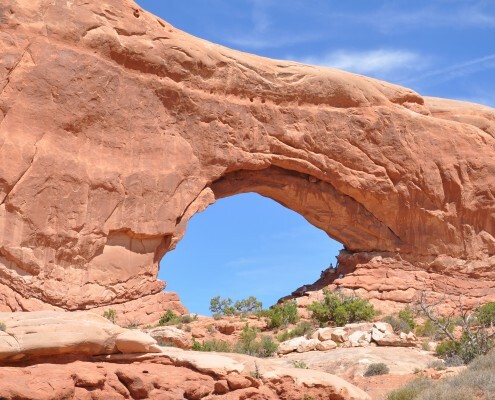 For most of the summer, they pored over geologic maps and all the existing literature, some from more than half a century ago, and meticulously outlined our itinerary down to each outcrop. 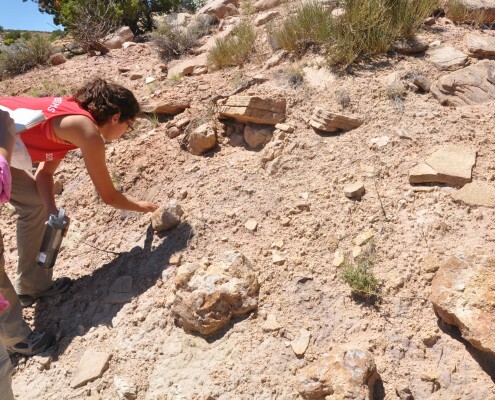 And that is how we found ourselves on the first day in northwestern New Mexico, on the edge of the San Juan Basin, investigating tilted Jurassic-Cretaceous sections. Both Hehe and Elli were far more familiar than me on the stratigraphy of the area, thanks to Hehe’s prior experience studying volcanic ash in the Mowry Shale of Wyoming and Elli’s experience in Helge Gonnermann’s field mapping course and John Anderson’s advanced sedimentology course, both of whom take the students to the San Juan Basin. 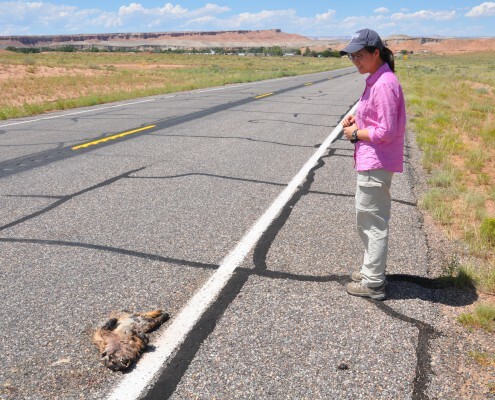 When we passed by gray-green low hills, Hehe would remark, “We’re going through the Mancos Shale” and then as we headed down section at 70 miles an hour, Elli would exclaim, “Morrison – Saltwash member.” Surely, the San Juan Basin is coming to be Rice’s favorite haunting grounds. And there we were, in the middle of the Saltwash Member, a fluvial sandstone in the lower Morrison, just outside the town of Cuba. 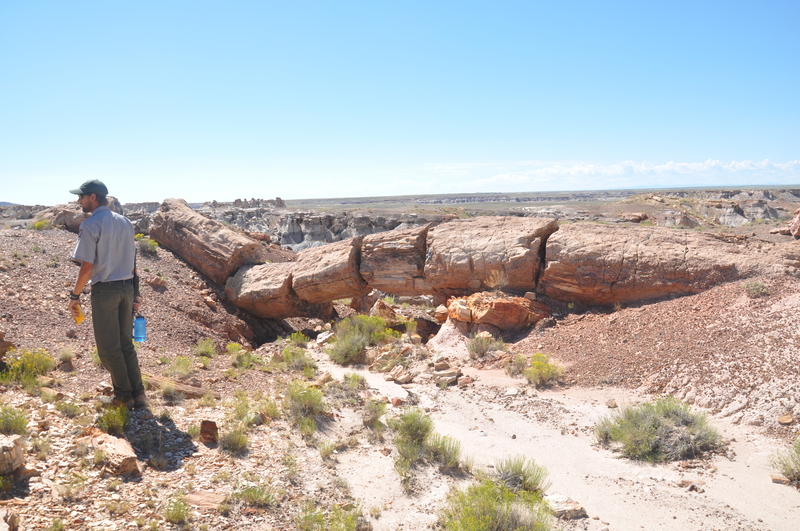 Elli and Hehe had stumbled upon a nice specimen of petrified wood, our first true excitement of the trip because the hope was that there was enough Uranium in this petrified wood to date, allowing us to eventually constrain when groundwaters had passed through these sandstones. 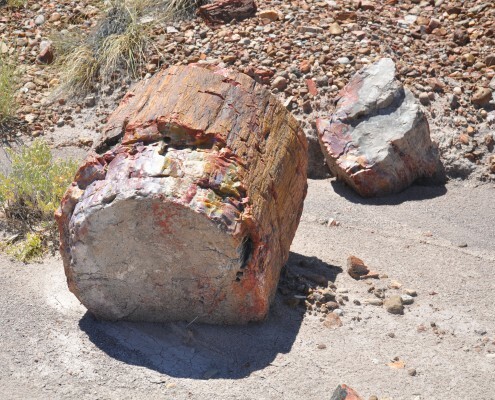 Petrified wood is often enriched in Uranium – flow of oxidized meteoric waters through uptilted porous sandstones leaches U from a wide swathe of country rock, but when the oxidized fluids meet a zone of reduction, such as a concentration of organic matter, U is reduced and immobilized. 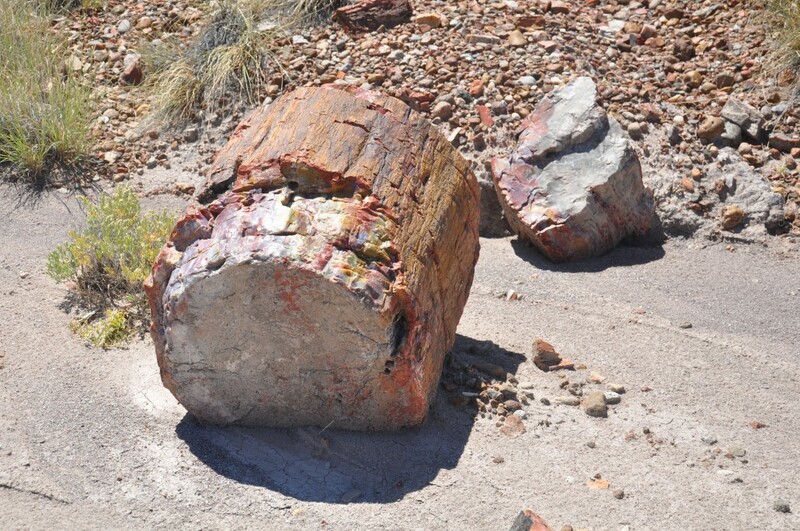 We continued our petrified wood hunting the next day in Arizona, in the heart of the Petrified Forest National Park. Hehe had worked out an official collaboration with the park scientists, and we spent the day exploring key stratigraphic sections in the park with William Parker, the chief park scientist, and Adam Marsh, a graduate student intern studying paleontology at UT Austin. 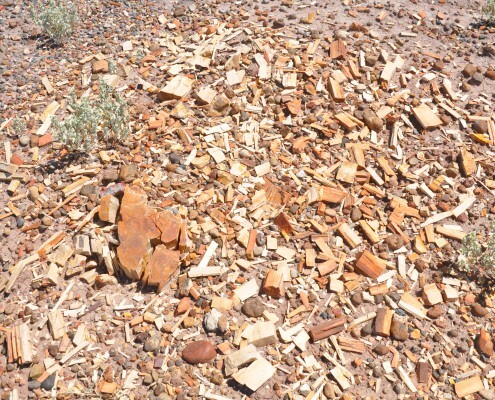 Unlike the Morrison, where you have to work hard to find petrified wood, here in the Petrified Forest, petrified wood was everywhere. Gigantic logs and millions of tiny fragments, embedded in a matrix composed of red-gray-bluish ash and conglomerates of volcanic protolith, were strewn across the valley floor. This looked to be the result of a log jam in a major river, but with the amount of ash and volcaniclastics there, one wonders whether these trees met a violent and sudden death, perhaps from a series of volcanic eruptions. 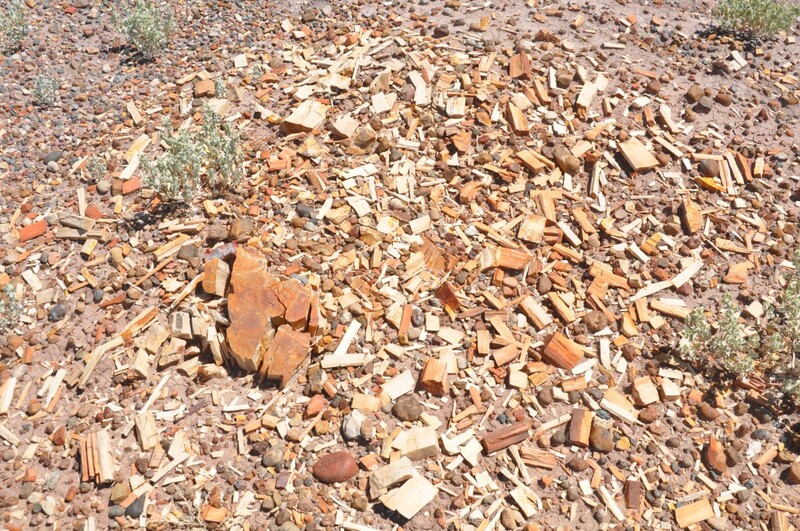 Other scientists have dated zircons in these ash beds, so the exact age of the beds is known. 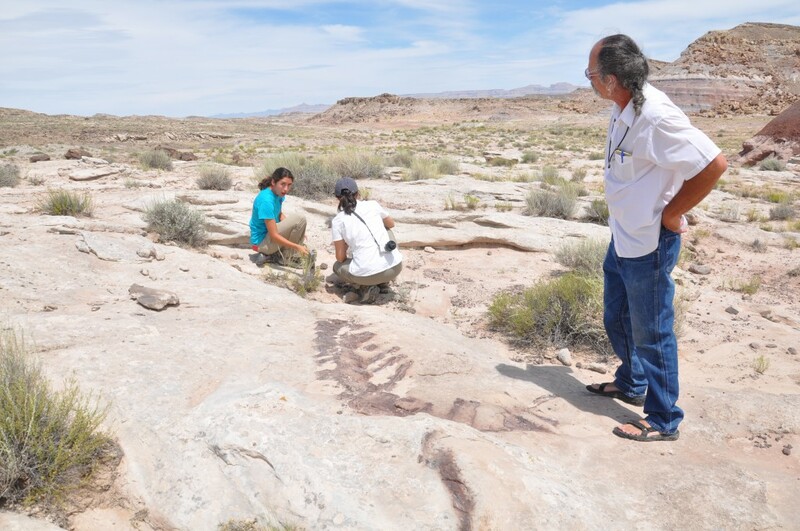 They are late Triassic and part of the Chinle Group. The question we want to know is when the wood became silicified. 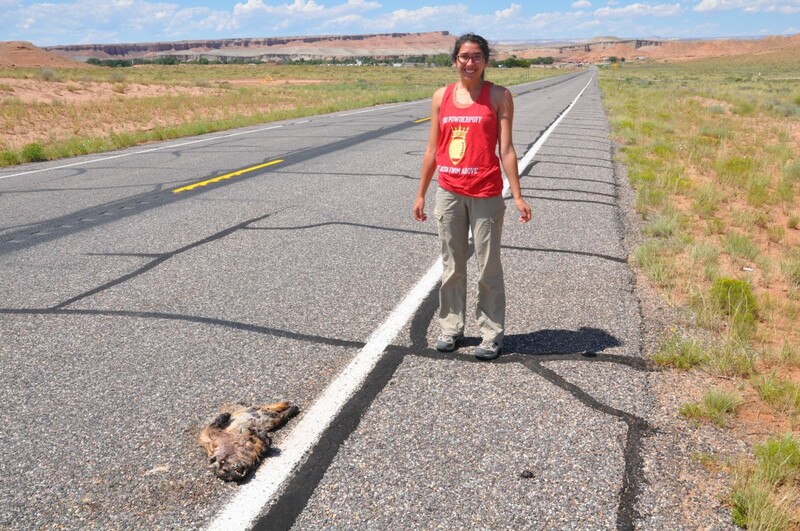 We would of course have to leave the petrified forest without knowing the answer to our question because we will have to go back to Houston to perform the necessary laboratory work. 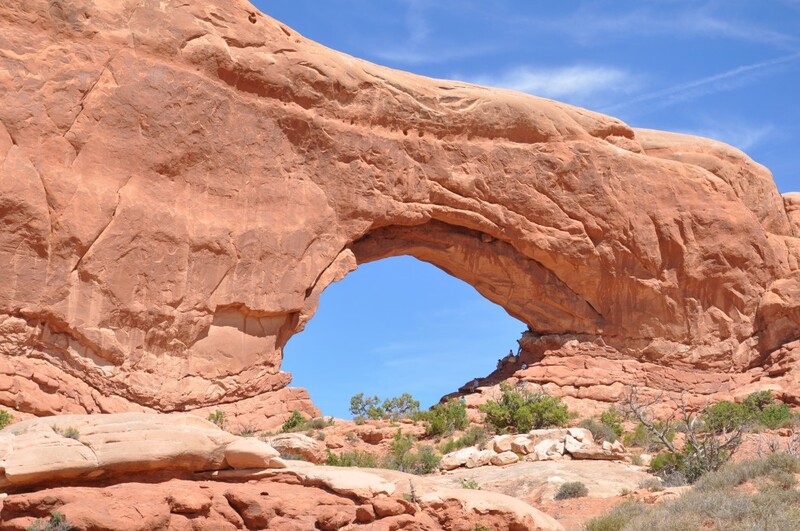 The following day found us in Utah, after having passed through Hopi Buttes, Monument Valley and the Goosenecks of the San Juan River. Our first target for the day were Mesozoic sediments tilted upwards by mid-Tertiary laccoliths in the Henry Mountains. Our drive out was graced not only by spectacular scenery, but also a generous offering of early morning wildlife. 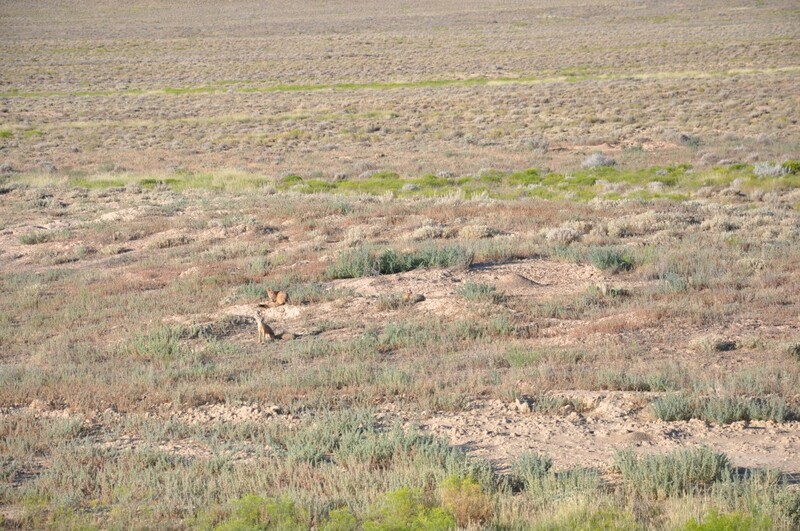 Zipping across the monoclines, we caught a glimpse of a bobcat, a long-tailed weasel, a Prairie Falcon and a Red-shafted Flicker. 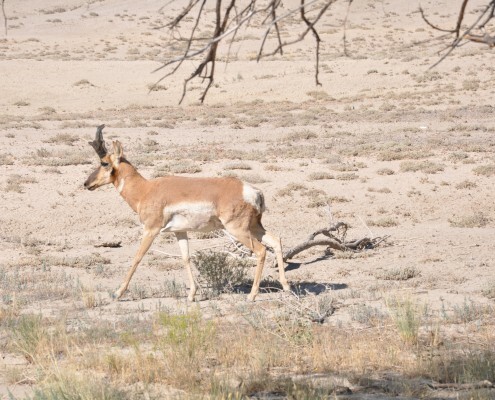 At the Henry Mountains, our first targeted spot was a disappointment because we had not anticipated how rough the road was, so we decided to play it safe and not continue, but that left us in a bind. We had come here because rockhounds had reported agates in the upper part of the Morrison formation, but we had no idea how local or extensive these agate beds might actually be. So we reconvened with our maps, strategizing on where we might be able to access. Elli and Hehe suggested we try a canyon we had passed by about a half hour ago. 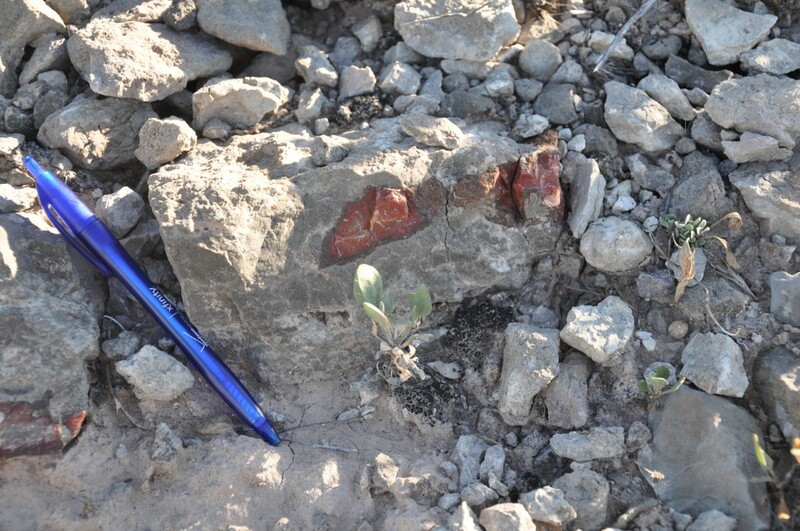 How do you find a random piece of agate in the middle of nowhere? We started in the lower reaches of the canyon looking for float. The first stop produced one tiny piece of float, which buoyed our confidence. We decided to search the hillslopes in the area, but could not find the source, so we drove higher up the canyon, well within the Brush Basin member of the Morrison formation. 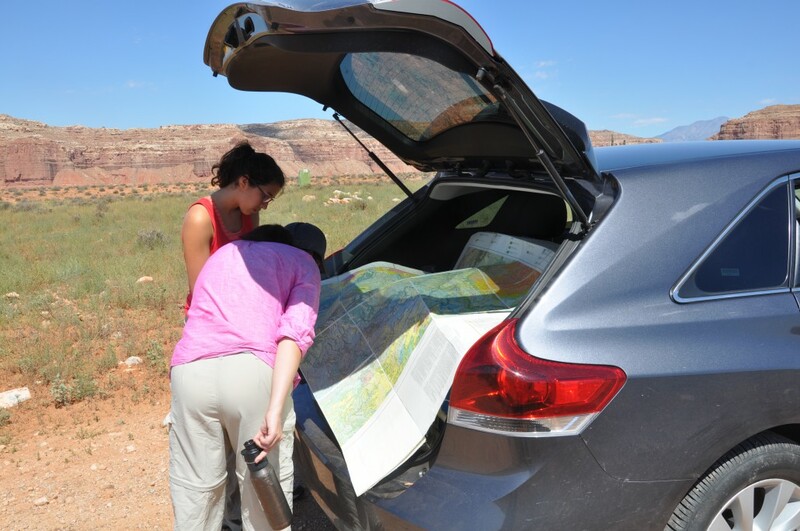 On the side of the road, we noticed a reddish horizon that looked like a paleosol, so we decided it might be worth checking it out for fun. 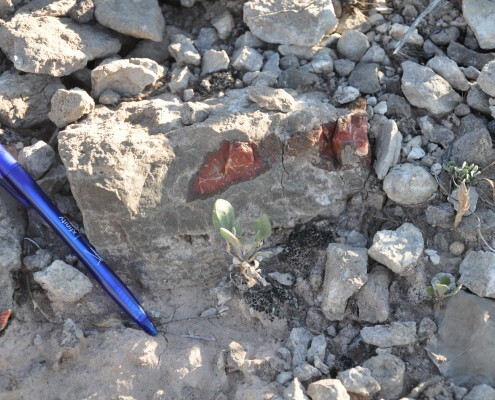 Sure enough, there were agates, nodular agates to be exact, but because of the large amount of colluvium that had come down from the hillslopes, we could not be sure if the agates were in place. 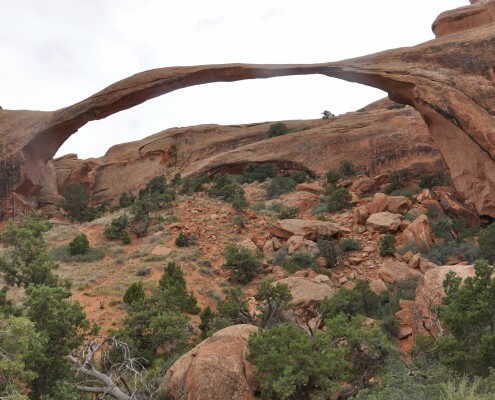 But if they were, we projected where this layer should crop out in the next canyon over, and indeed, there they were in place, at the contact between the red-green bentonitic beds typical of Brushy Basin and the pebbly sandstones of the Cedar Mountain formation. Exactly why the agates form at these contacts we are not sure, but that is a mystery that Hehe and Elli will solve. It seems likely that these agates will tell us about the timing and conditions of fluid flow associated with diagenesis, perhaps allowing us to learn more about the timing of unconformities. 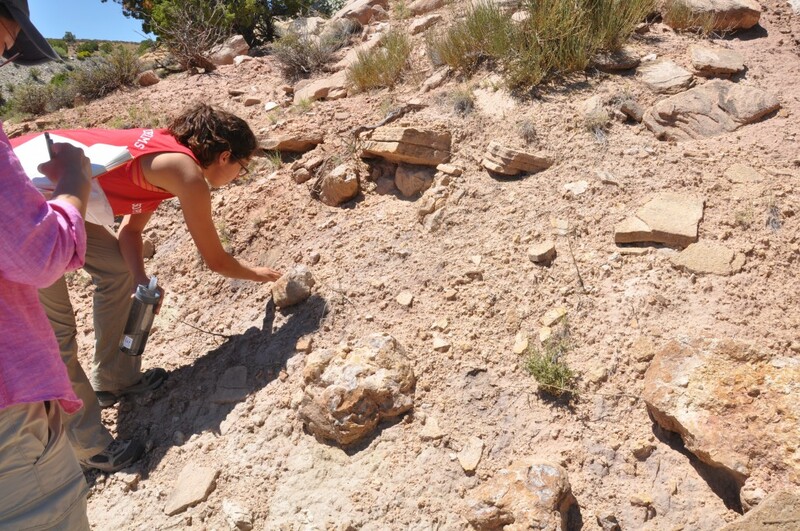 For the remainder of our trip, we checked out more Morrison agates and collected ash beds from the Mancos Shale. 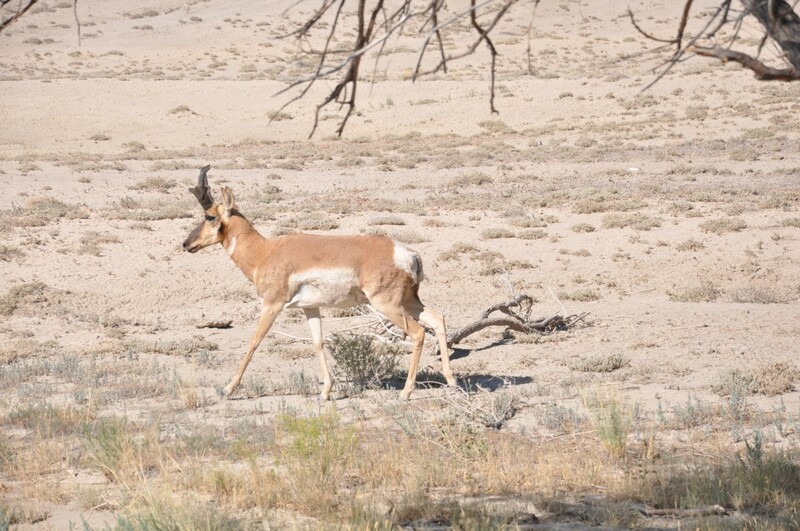 We saw many other forms of wildlife and fauna, including pronghorn antelope, kit foxes, and a variety of buckwheat. Our last day was spent looking for radioactive dinosaur bones with park officials from the Cleveland-Lloyd Dinosaur Museum and learning more about the stratigraphy of the region. During the long drives between each site, we kept each other awake with deep and light conversations, ranging from the meaning of life to what’s ones earliest childhood memory is to the struggles of life and to what ones favorite deep sea creature is. Thanks to Hehe and Elli, this was a most successful and enjoyable field outing. Hydrous basalt–limestone interaction at crustal conditions: Implications for... RUGS welcomes new majors!